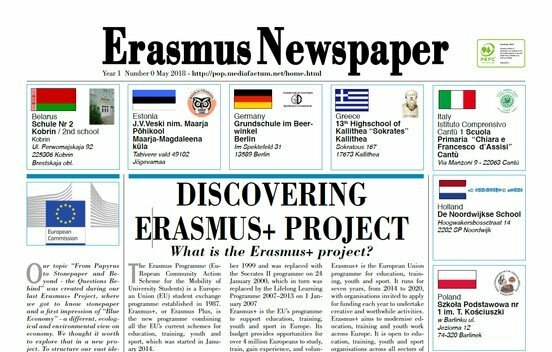 The European Erasmus+- program unites different former programs like Comenius for schools and Erasmus for universities since 2014 and finances exchanges, learning experiences and the collaborations of schools and other partners. The program aims to improve competences and work aibilities and promotes the modernisation of school systems for children and young people. There are 2 actions relevant for schools. In this current project we are 9 European schools and, associated, one school in Belarus. We have known each other for some years now - some even since 1997. But that does not mean that we are a closed circle. The schools in Edinburgh and Noordwijk we newly found last year. We trust each other dearly and in the Transnational Meetings we discuss our progress, talk about difficulties and always have an indoor training session on relevant topics. We also think it very necessary and helpful to see each other and have some fun together. That builds up our friendship and relationship. We all agree that including schools outside the EU is very important. We feel that we work together on understanding and learning from each other - for us an important component for peace. You can find the countries, towns and schools under "Schools". There are four Transnational Meetings and five Workshop Meetings planned. 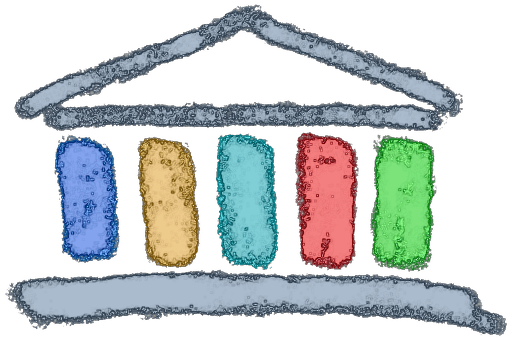 While the first Transnational Meeting serves as a "Kick-Off" meeting where we all get started (Athens Oct. 16) is the second meeting about our progress, dates for the work and first training units on the topic - i.g. in Noordwijk (March 17) we learned about stonepaper and the paperless office. The third meeting will pull the results together and look (critically!) into the future with paperless schools and ICT methods to teach in schools (Edinburgh , Oct. 17). The last meeting will be dedicated to writing the final report which has proved to be rather difficult in the past. We envision ourselves sitting together on the computers and support each other when tricky questions appear (Barlinek, Sept. 18). Our topic "From Papyrus to Stonepaper and Beyond - the Questions Behind" was created during our last Erasmus+ Project, where we got to know stonepaper and a first impression of "Blue Economy" - a different, ecological and environmental view on economy . We thought it worth to explore that in a new project. In our last projects we had a strong look at evaluation. We made our own self evaluation sheets and filled them in according to our agreements. But we also had help from the university of Science education in Buca / Izmir where some students and post graduates evaluated our work . In this project it will be self evaluation of the project concerning the school development, the teachers and the students - and also our Erasmus group. The University of Buca will evaluated especially the workshop in Izmir in June 17 and also look at our self evaluation on a scientific scale. It might be used on international conferences. An impressive report about our work! Find out more and open it! 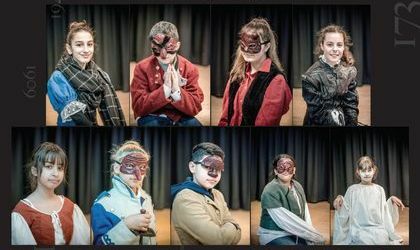 a Commedia dell' Arte, will be on stage! We hope a lot of people will attend and share our adventures. Our Workshop in Berlin from 11th to 17th December 2017 was a really big success. We enjoyed it all very much! Workshop in Izmir - Papier oder Elektronik? Read more … Workshop in Izmir - Papier oder Elektronik? Read more … No Plastic Bags! We are fighting for the enviroment and against the Nuclear Bomb in our workshop from 11th - 17th December! We will fold 1000 cranes, butterflies, birds, flowers and leaves from stonepaper, to create a tree of live and diversity and remember Sadako! I love this page. I learn a lot of reading and to be better in English. I like this video. I go in the 5c (a class of the Beerwinkel Grundschule). This project of our school is very funny! This video is very good and it has very good players! I'm Viola. My class is 4 B (Italian school). I like to learn about the history of the paper. I love Erasmus+. This video is so good! This is so beautiful and perfect. I love it!